Artist's comment: So I'm super not a fan of the "rainbow power" designs in MLP:FiM, and I wanted to make my own designs that were better but, well... I don't think it worked out. I mean, this is way more tasteful than the original, but also lacking the extraordinary powered-up magical girl quality. 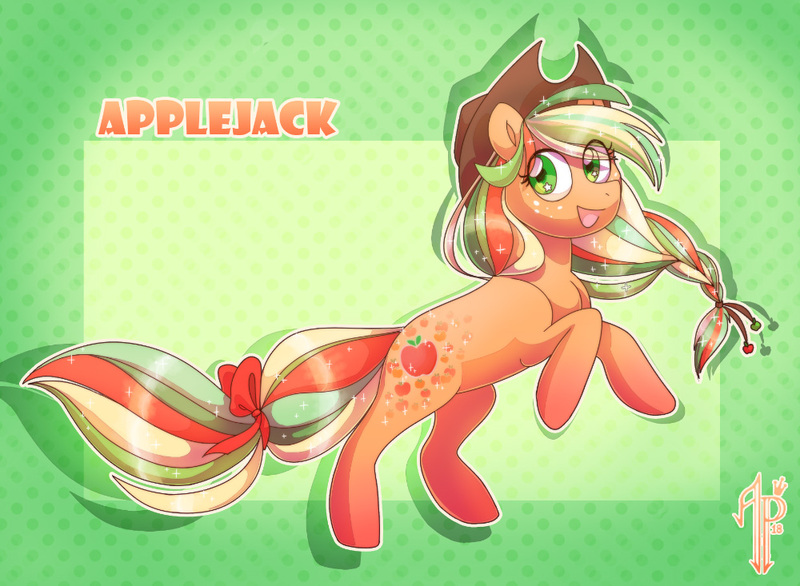 So have Applejack with a dye job and sparkles I guess? Applejack is owned by Hasbro, not me.